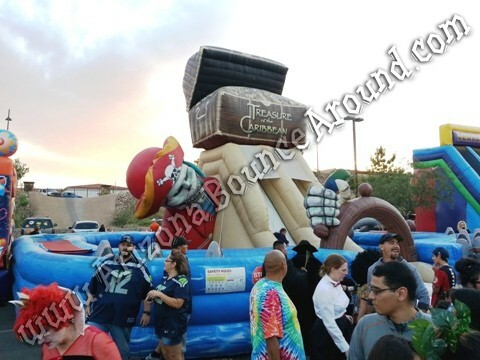 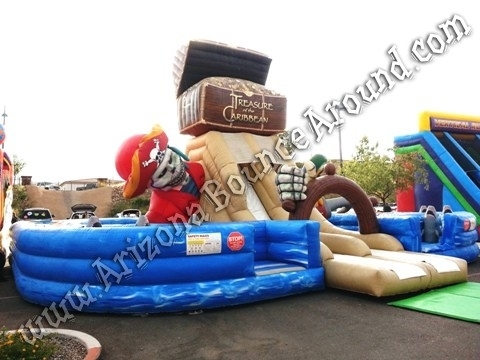 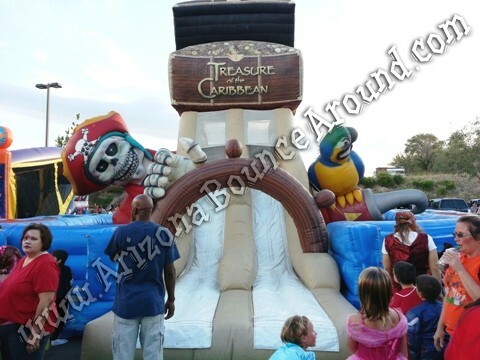 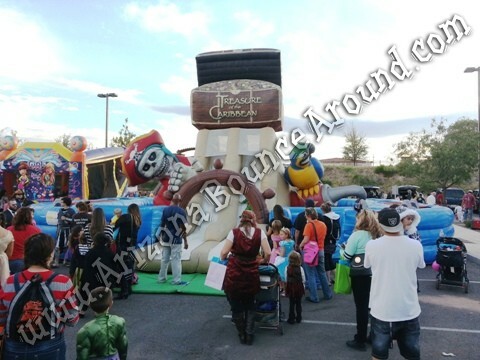 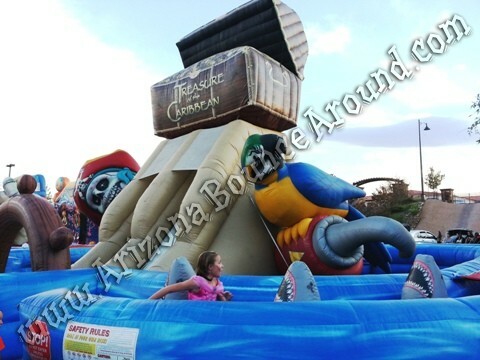 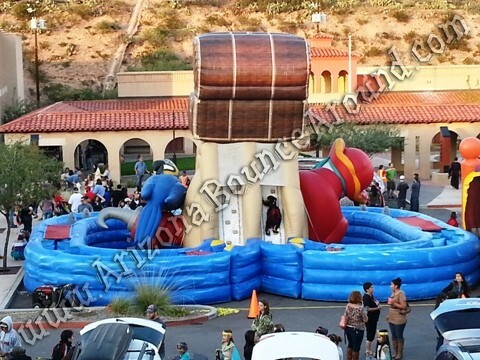 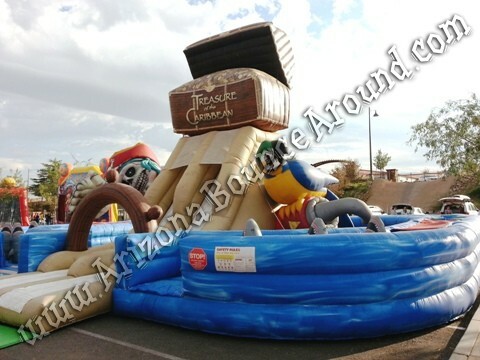 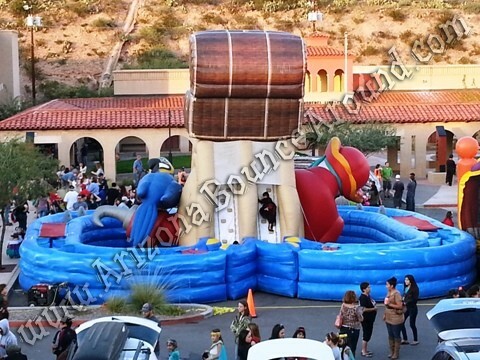 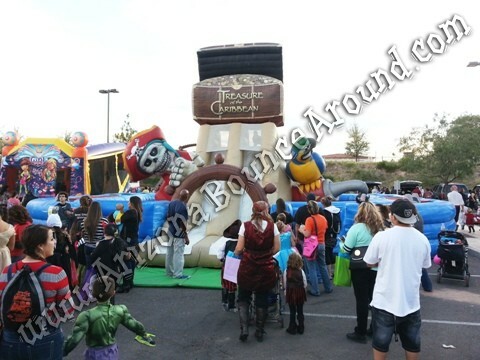 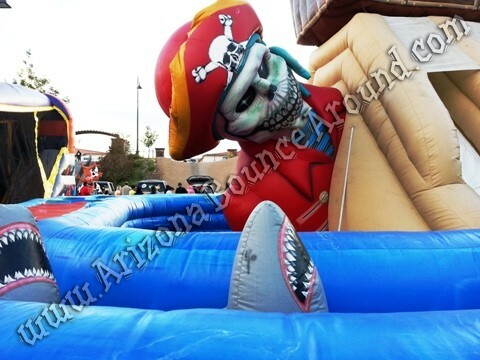 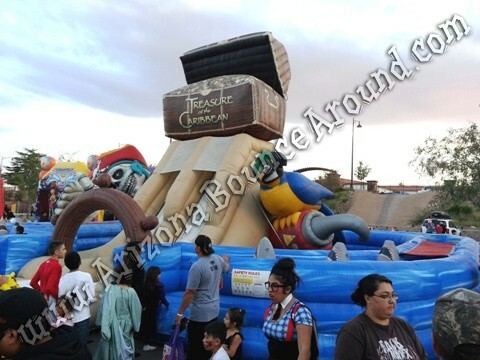 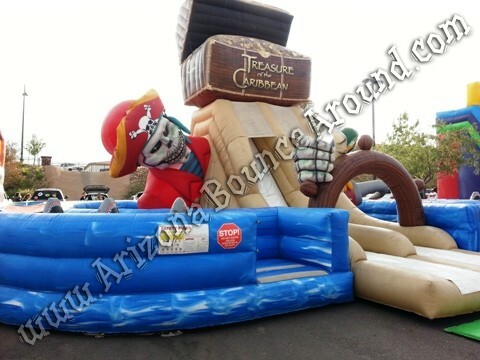 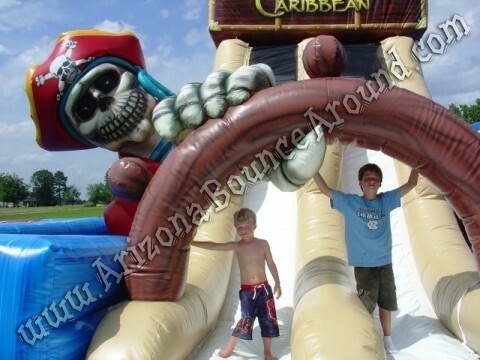 This amazing 24 foot tall Pirate themed obstacle course will make you're party look amazing and kids and adults will have fun racing thru this super long course. 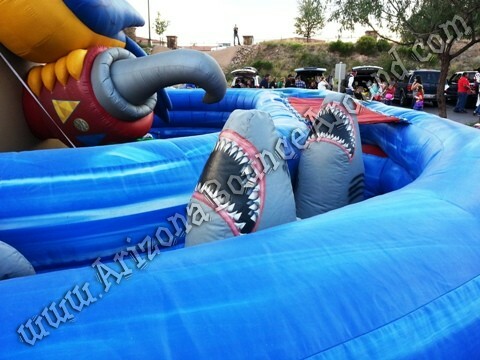 Start off by running thru the inflatable sharks then thru the pillows of the super log obstacle challenge, then run thru the inflatable tire course and up the rock climb ladder under the treasure chest then slide down the 24 foot tall dual lane side to the end, whew!! 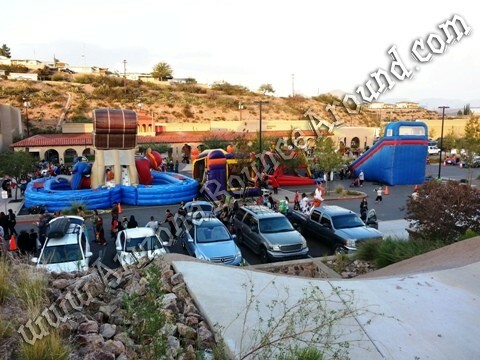 Then do it again !!! 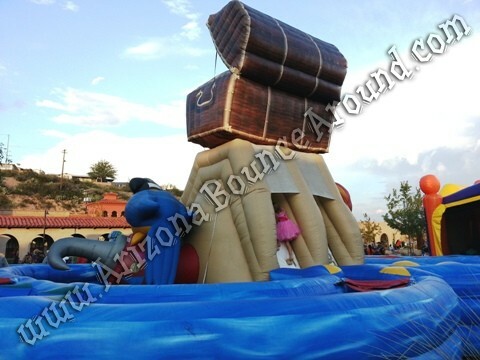 This is a perfect team building exercise or activity for work parties and team challenges so rent it today. 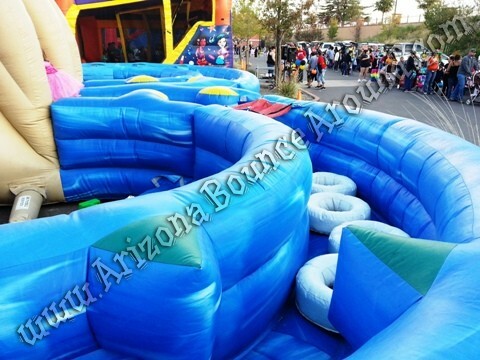 If you want to go even crazier than you can finish with our 42 foot tall Drop Kick slide or freefall 28 feet down on our stunt jumping air bag. 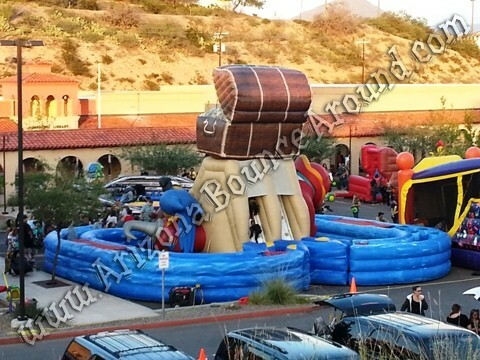 Click on the photo below for amazing videos of this thing in action.